Is the BBC biased against Brexit? Overwhelming evidence produced by News-watch shows that it is. Yet a war of words on the topic within the Conservative Party has broken out. Some of those on the Remain side – along with Theresa May herself – appear to be determined to insult those who think the Corporation’s output is imbalanced, describing them as ‘absurd’. 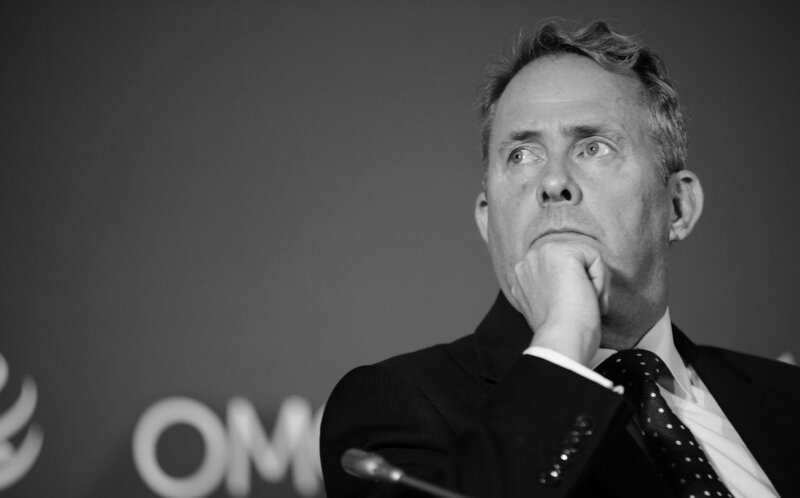 Trade Secretary Liam Fox said in the House of Commons on Friday that he was deeply concerned about BBC anti-Brexit bias. A cross-party group of MPs, including Conservatives Philip Davies and Philip Hollobone, also told BBC Director of News James Harding at a meeting last week that they had serious concerns about the deeply negative approach to almost all aspects of the Brexit process. They submitted a dossier of evidence supporting their claims. That’s surely another way of declaring war on Dr Fox. Is that a good way to start a new job? To alienate those in the party who think otherwise? He added those who level claims of bias against the BBC “have simply lost the argument”. Come again? Was that the the voice of Robbie Gibb? Or the effective deputy prime minister, arch-Remainer Damian Green? And is every instinct of Theresa May now suicidal? Whoever it was who dreamed up this nonsense, they seem to be ignorant about the the BBC Charter. It stipulates that although the BBC has wide discretion in choosing what to broadcast, an over-riding qualification is that it must be impartial. And who is it in the Conservative Party who in the Mrs May’s estimation is against a ‘free press’? Liam Fox and Messrs Hollobone and Davies did not say they want to to muzzle the BBC or end ‘free media’. Far from it. What they do demand is that the Corporation covers the Brexit process in accordance with the Charter, and makes sure the majority who supported Brexit are not swamped on BBC programming by what amounts to a continuation of Project Fear.